What is the Purpose of Emergency Lighting? When the normal power supply in your premises fail, for whatever reason, the emergency lighting system will automatically be activated, allowing people to make a quick and safe exit from your premises or to finish a hazardous works process. 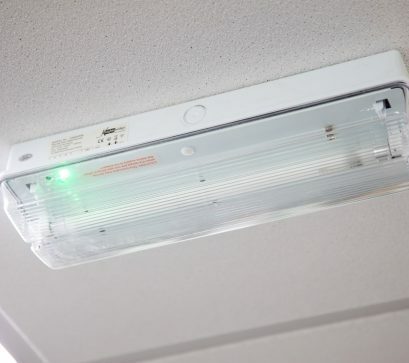 This is known as Emergency Escape Lighting and is a requirement for most non-domestic and multi-residential buildings under the Reform (Fire Safety) Order 2005. Emergency lighting is also used in a wide range of buildings to allow normal work to continue should the normal power suddenly fail. This is known as Standby Lighting. Integrity can install new systems, upgrades and extensions as well as system maintenance. Pre-planned maintenance including lighting functionality tests, in accordance with buildings requirements and to fully comply with national and local standards and regulations.